Gases and vapours found in the ground can be associated with a number of sources. Gases such as methane and carbon dioxide can be naturally occurring in peat deposits or be produced as a result of man-made activities such as the landfilling of wastes. Risks are associated with potential flammability and explosions and asphyxiation. Radon is a naturally occurring radioactive gas with no smell, taste or colour and has been reported as the third largest lung cancer cause after smoking and asbestos related diseases. Delta-Simons is proud to be a member of the Radon Council, the independent non-profit making Self-Regulatory body for the radon industry (www.radoncouncil.org). Vapours can present explosive and health related risks, typically be associated with spillages of chemicals or fuels. Delta-Simons can provide bespoke advice on the risks from gases and vapours in the ground, or in work or home place environments, as gases and vapours found in the ground can be associated with a number of sources. Gases such as methane and carbon dioxide can be naturally occurring in peat deposits or be produced as a result of man-made activities such as the landfilling of wastes. Risks are associated with potential flammability and explosions and asphyxiation. The potential for a risk from ground gases and vapours is assessed at desk stage, with ground investigation or assessment designed accordingly if risks are identified. Measurement via monitoring wells in boreholes is the norm as part of intrusive investigations; however diffusion tubes and other static measurement techniques can be employed within existing buildings. Monitoring can be completed with a range of in-situ and ex-situ detectors, or samples can be obtained for specific laboratory analysis, with monitoring programmes ranging from days to months depending on the nature of the risk and need for the information. The assessment and interpretation of measurement data will identify whether a risk exists from ground gases or vapours. This can be through the use of simple calculations or bespoke statistical models. Mitigation is most often provided by the use of ventilation and membranes in construction design, which provide primary and secondary forms of protection for buildings from the ingress of gases and vapours. Ventilation can be by passive air flow or active pumping. In all cases validation of construction and installation techniques is important. In some cases where the risks posed by gases and vapours are due to them being a by-product of more significant soil or groundwater contamination, mitigation can be provided by the remediation of the specific contamination sources. All occupied below ground workplaces in the UK. We can plan a robust and cost effective strategy to assess radon risks in any workplace; undertaking radon measurements where required and, if necessary, project manage the design, installation and validation of mitigation measures. 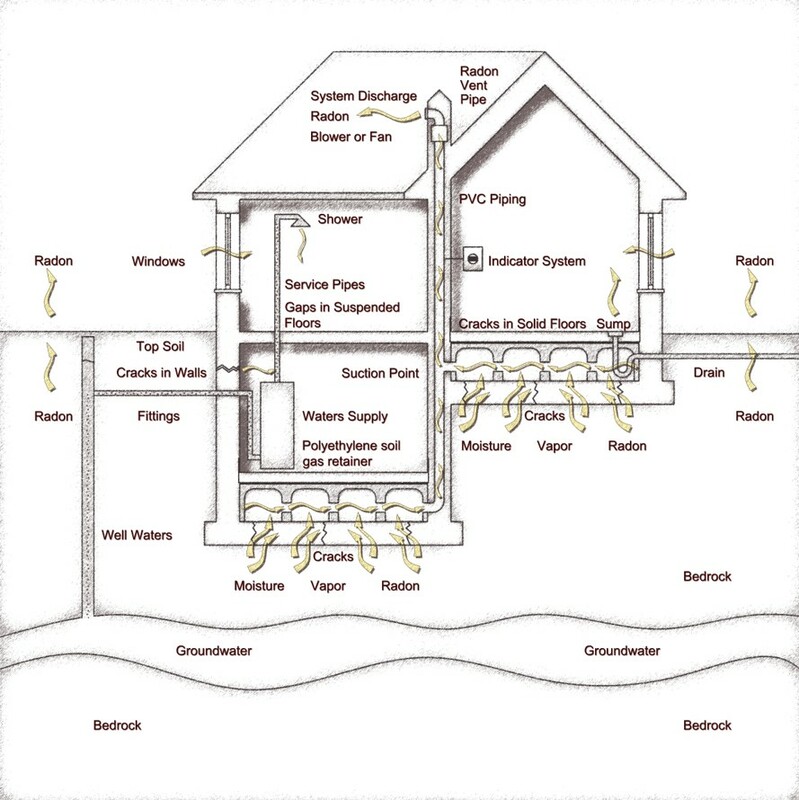 Our radon team can design appropriate radon protection for a new build. From an initial review of existing guidance and maps, we are able to quickly determine if a development is in a radon affected area and subsequently if mitigation measures are required at the construction phase. Where radon protective measures are required, we can project manage the design, installation and validation of mitigation measures at the construction stage of any new development, extension or refurbishment.